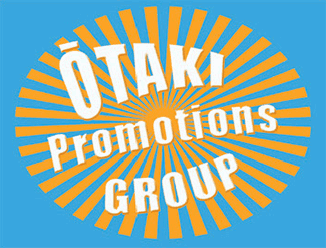 The Ōtaki Promotions Group is a sterling group of workers and deserve our congratulations. They have bought a sense of identity to the town with their events. We have under their vision seen the phenomenally successful Kite festival. Who would ever have imagined some years ago that Ōtaki would now be seen as the Kite capital of New Zealand? It is enjoyment for kids and grownups alike. Bringing people to the town for this and other events create business opportunities and work. The enjoyment of many brings a sense of worth to the town and the rattle of the tills a little relief for the business owner. Their recent Community Expo allowed the community to show-off their organisations and recruit members. OPG runs monthly business evenings as a ‘getting to know you’ event and what’s going on in business. This is all done by a small community group, all volunteers. Communities have always survived on the work and goodwill of volunteers and small success drive bigger ones. And there is often an inevitable toll of volunteer burnout. Recently the Ōtaki Mail visited Katikati, a country town the size of Ōtaki, hanging off the edge of a much larger one. Surrounded by farms, it is a vibrant place to live and play. What was interesting is how their community groups are supported by a paid Promotions Officer; funded by their local community board. She offers support, infrastructure, organisation, knowledge of the system, how to get resource consents, how to apply for funds. She provides the backbone (and sometimes the vision) for creating a vibrant town supportive of community groups. Working under the guidance of a committee of townspeople, she’s the organiser who makes things happen. Is it time we had some paid support for the Ōtaki Promotions Group and all the other groups to help exploit all the features of Greater Ōtaki of which we’re all so proud? What about it, KCDC and Ōtaki Community Board?